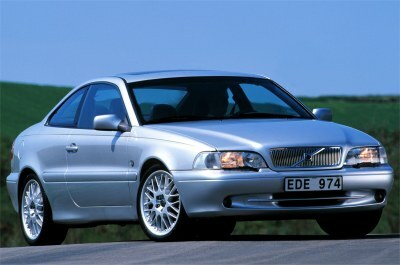 The sleek C70 coupe is equipped with a 236-bhp/2.3L turbo I-5 engine, mated to a 5-speed manual or automatic transmission. Leather seats, aluminum interior trim (or red wood trim) and Sport suspension are standard. Options include: a 400-watt CD audio system and 17-inch wheels.